All Leica products have one thing in common: they combine innovative high-performance optics and unique handling with timeless design. Each control element is functional and self-explanatory, ensuring easy and smooth handling, even with gloves or in the dark. The on/off switch is a large rubber-armoured dial ring, which functions noiselessly. 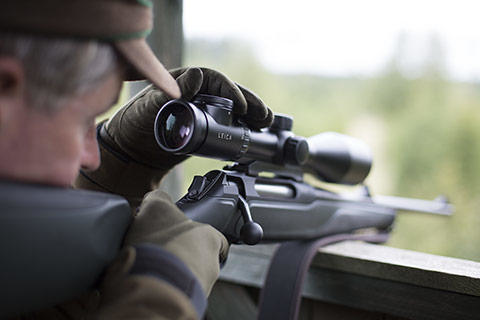 The greater distance between exit pupil and eyepiece lens ensures eye relief and improves safety, even when using a high-calibre rifle. Compact construction, solid technology and a slim design make Leica riflescopes reliable and optimal hunting companions for universal use.